You Will be Warmly Greeted! On your first visit, you will be warmly greeted by a member of our team. While completing your health history paperwork, you can enjoy our therapeutic massage chairs and/or a cup of coffee or hot tea. 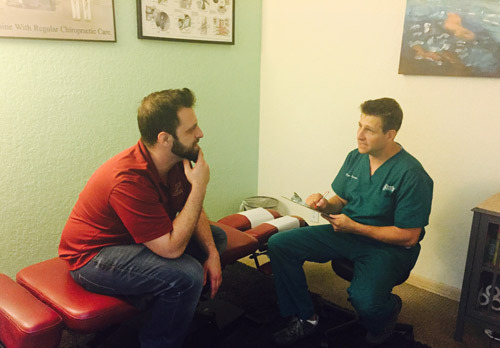 Dr. Ryan will review your medical history, discuss your problem with you and determine how best to correct it. 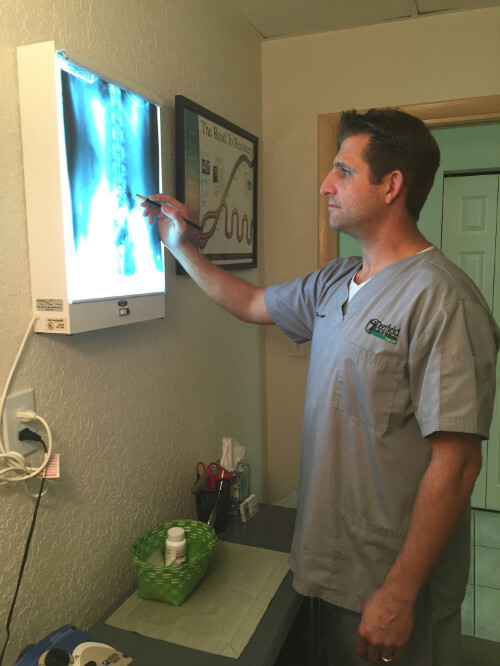 If x-rays are necessary, they will be taken and explained to you. 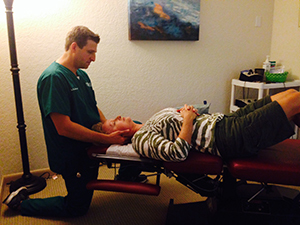 You be treated with a combination of chiropractic adjustments, muscle therapy, and home instructions. The doctor will discuss with you how the first treatment went and let you know when to follow-up for the next visit. On your second visit, you will discuss your body’s response to the first treatment. Upon completion of your second treatment, the doctor will create a plan for the next several weeks. This treatment plan is critical in order to get you out of the pain you are in and to a much better place in terms of how comfortable, flexible and able you are to do the things that you want and need to do. Upon checkout, our team will schedule your upcoming visits to best suit your needs. A typical office visit involves a friendly greeting upon your arrival. You will be shown to the treatment room where you will relax with treatments such as a heat or ice pack and electric muscle stimulation if necessary. You will receive a comprehensive series of chiropractic adjustments followed by home instructions to maximize your results. 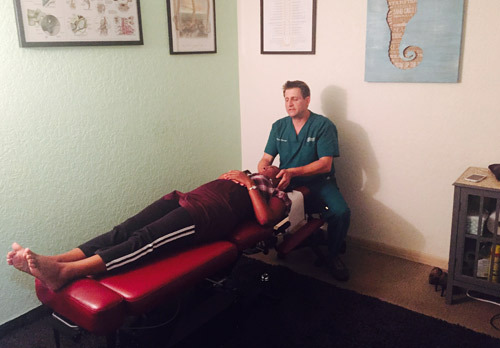 As your condition improves, your visits are safely spaced out more and more until you are maintaining a healthy spine with maximum efficiency and prevention of future problems. At Deerfield Health and Wellness, we treat all our patients like family.